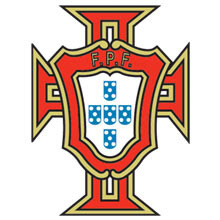 The Portuguese national football team is governed by the Portuguese Football Federation (FPF), finishing 4th at the 2006 FIFA World Cup. The first appearance in the 1966 FIFA World Cup saw them reach the semifinal, losing 2–1 at Wembley to the eventual world champions England. Portugal finished in third place and Eusébio was considered the best player of the tournament. The next two times Portugal qualified for the World Cup were 1986 and 2002, with Portugal going out in the first round both times. In the 1986 tournament, players went on strike over prize-money and refused to train between their first and second games. In 2003, the Portuguese Football Federation decided to hire Luiz Felipe Scolari, the Brazilian who had led the Brazil national football team to win the 2002 FIFA World Cup. Scolari led Portugal to the final of UEFA Euro 2004, where they lost to the Greek national team, and to their second World Cup semi-final in the 2006 World Cup. Scolari left after the Euro 2008 championships to manage Chelsea. Carlos Queiroz was appointed the new manager of Portugal in 2008. Portugal participated in the qualifying stages with new manager Carlos Queiroz (who had already coached the team in older times), for the 2010 FIFA World Cup, which is due to take place in South Africa. The team had a qualifying campaign that almost turned disastrous and just sneaked into second place by a single point over Sweden, a group where Denmark finished first, one point ahead from Portugal. Portugal was drawn to play against Bosnia and Herzegovina in the european zone play-offs. With two wins (1–0 in the first leg, in Lisbon; and 1–0, in Zenica), the team gained its right to participate in the World Cup. Having qualified for the 2010 FIFA World Cup, the Selecção das Quinas had its most successful decade to date, having qualified for all the editions of the World Cup and Euro Cup (Euro 2000, World Cup 2002, Euro 2004, World Cup 2006, Euro 2008, and World Cup 2010), along with Spain, Italy, Germany, and France, the only other four teams to have done so. In the Final Draw, on 4th December 2009, Portugal was drawn in one of the toughest groups, the so called Group of Death where the Selecção das Quinas will be facing 5-time champions Brazil, Africa's top contenders Côte d'Ivoire and 1966 opponents North Korea. The Group of Death will be the most exciting groups to see in the 2010 Fifa World Cup. Portugal will first face Côte d'Ivoire on 15 June 2010 at the Nelson Mandela Bay Stadium in Port Elizabeth, followed by North Korea on 21 June 2010 at the Cape Town Stadium in Cape Town and the last group match will be played against Brazil on 25 June 2010 at the Moses Mabhida Stadium in Durban.